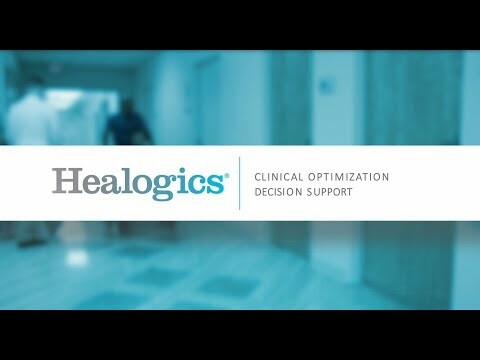 JACKSONVILLE, Fla., June 28, 2018 /PRNewswire/ -- Healogics®, the wound healing experts, today announced the launch of two new applications that support efforts to improve the patient experience and save time for clinicians and physicians, all while increasing the quality and consistency of patient care. Clinical OptimizationSM and Decision SupportSM, applications on Healogics' WoundSuiteSM platform, enable the critical connection between people living with chronic wounds and their multi-disciplinary healthcare team for collaborative, evidence-based, patient-centered care. Healogics announces launch of two new applications that support efforts to improve the patient experience and save time for clinicians and physicians, all while increasing the quality and consistency of patient care. "Over the past year, Healogics has been working tirelessly to ensure that the care teams at our Wound Care Centers® have access to the best software available to help more people heal. We are excited about the launch of these new applications, and their ability to support more in-depth documentation, accurate wound measurements and, most importantly, better patient outcomes," said David Bassin, Healogics CEO. Healogics Clinical Optimization provides clinicians and physicians with patient-focused insights starting with the daily team huddle. Additionally, this application supports them throughout the Healogics Patient Care ProcessSM, a six-sigma lean productivity process used in each Wound Care Center. Clinical Optimization provides a one-click patient summary that eliminates all of the arduous and time-consuming paper processes built around EMRs. By concisely presenting the essential patient information, physicians can now go through medical surveillance, a process designed to monitor patient healing, with case managers before ever walking into a patient's room. This allows more time for meaningful patient interaction. Healogics Decision Support utilizes the power of mobile technology within the Wound Care Center to automate and capture wound photos and their measurement. Historically, wound closure was measured using a ruler and a traditional photo at each visit. This new approach allows planimetric wound measurements to be targeted, calculated and uploaded within seconds, dramatically improving image acquisition and documentation both pre and post wound debridement. Security and HIPAA compliance are also enhanced by directly uploading wound photos into the cloud and eliminating the need to store images locally on devices. Regional Medical Director Dr. David Johnson said, "Clinical Optimization and Decision Support are invaluable applications breaking new ground in the world of wound care. These applications enhance my clinical workflow and provide me with actionable insights derived from evidenced-based medicine. With better data comes positive strides in the research and treatment of chronic wounds. Healogics strongly believes in the importance of standardization and transparency in wound healing and this software makes that happen – it's phenomenal." For more information regarding Healogics' Clinical Optimization and Decision Support applications please reach out to info@healogics.com. Headquartered in Jacksonville, Fla., Healogics and its affiliated companies manage a network of 700 outpatient Wound Care Centers® across the United States and multiple locations in the United Kingdom. Healogics currently has more than 3,000 employees, including nearly 300 employed providers (Healogics Specialty Providers). In addition to the company's network of outpatient Wound Care Centers, Healogics providers partner with over 400 skilled nursing facilities to care for patients with chronic wounds. More than 300,000 patients were treated by Healogics providers in 2017. For additional information, please visit Healogics.com.